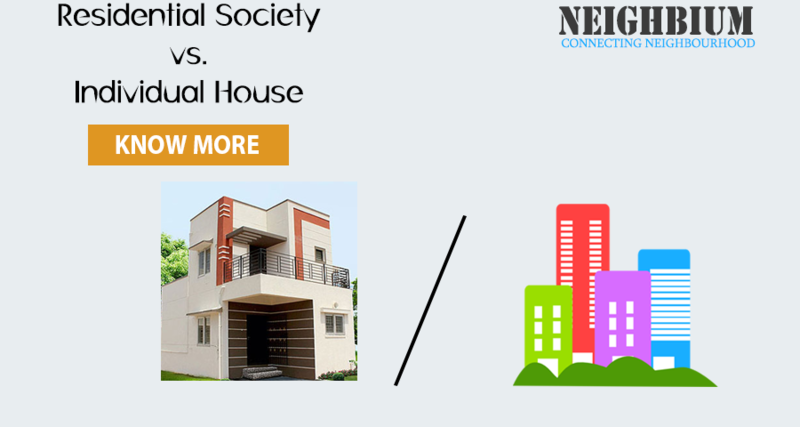 Why living in society is better than individual house? Buying your own new house can be exciting and often, the accepted norm is selecting a property at a wonderful location, as it gives better appreciation on your investment. But buying a property in a metro city can become a nightmare the moment you encounter their sky-high rates and realize the additional costs associated with it. Living in a residential society comes slightly cheaper than individual houses which could be in the form of a villa or an assortment of floors built on a plot. Neighbium explains some of these differences to help you make your buying decision easy. While own individual homes come with added values, such as vaulted ceiling, enough parking spaces, power back-up, water systems and fire safety mechanism in place, swimming pool, but an independent property needs extra effort for setting up of these services, which can cost you an awful lot. Right from setting up of a small power back-up in the form of an inverter or a generator to set your own water mechanism, everything has to be afforded by the buyer solely. So you end up spending 2-3 per cent of the total property value on these amenities. To spend a fortune only to find out the house is not a good fit for the buyer would surely make one disheartened. 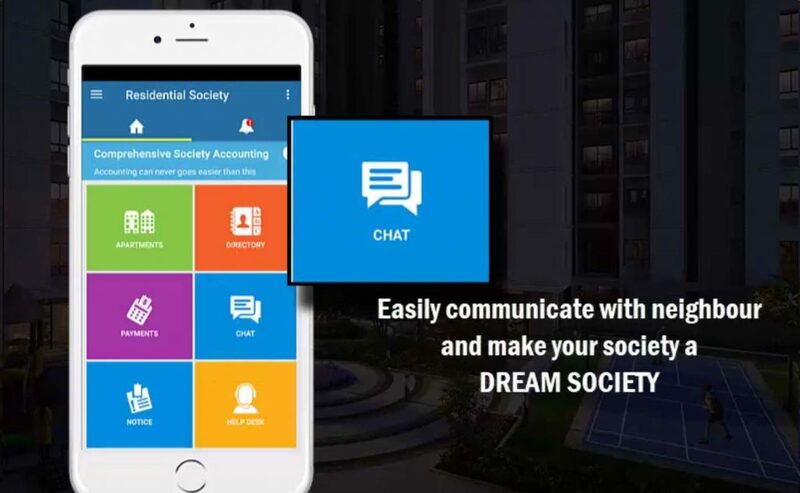 On the contrary, when you are moving into an apartment complex, all the modern amenities such as a children’s play area, a clubhouse, sports facility, intercom facility, 24 x 7 security systems, a jogging track, power backup system, already exist. Hence apartment members have easy access to various facilities within the complex. In a residential society, you have a wide choice of apartments at various price points at various locations to choose from. And you can choose the most promising one with specifications according to your means and choices. Living in a residential society gives you an opportunity to live in a gated community and interaction comes to a lot easier. You have the chance to widen your social circle and develop lifelong friendships with your neighbours. So you get to experience community living at its best! 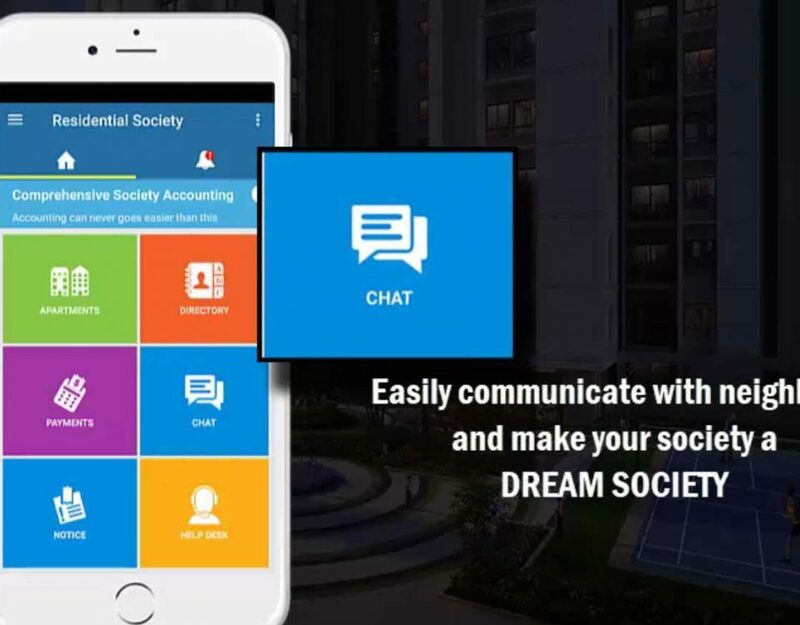 Neighbium app can further enhance your community living as it allows you can communicate with your neighbours living in the same locality as well as communicate with societies that are in close proximity to each other, using the Inter Society Communication feature. The apartment complexes, by virtue of a large number of households, attract an increasing number of businesses to be set up nearby and soon, the area becomes a hodgepodge of new life and a developed place to live. This results in an appreciation of the property and increased locational advantage over a short period of time! Apartment complexes are comparatively safer to dwell as there are proper security arrangements in the area and neighbours live close by. You can lock your apartment and go out of the station with minimum worry. 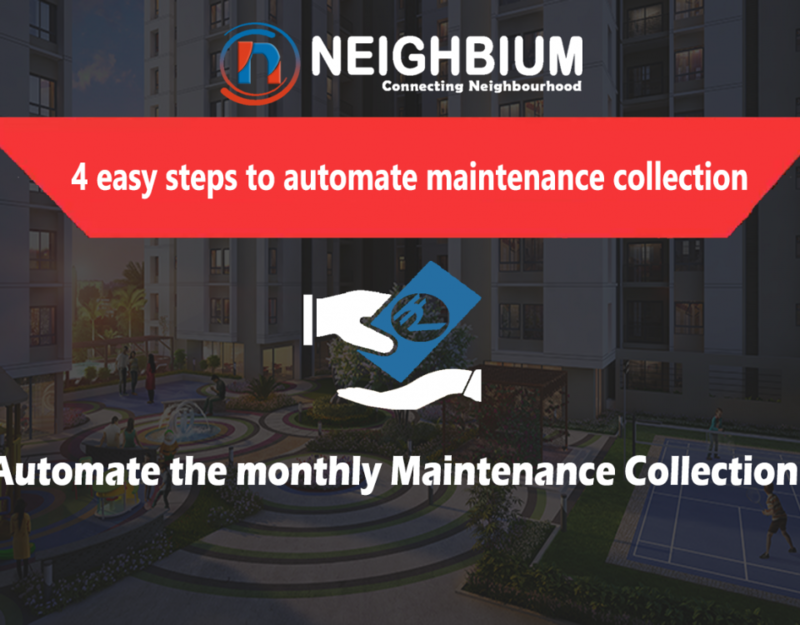 Using the Neighbium app, anybody who enters the apartment during the day can be tracked and one can search for any family information, vehicle information, or phone numbers or photographs of those entering the complex. Thus all information comes handy whenever needed. Since it is a large group, apartment resident welfare associations have more influence than an individual to make civic agencies listen to their complaints and deal with common problems. 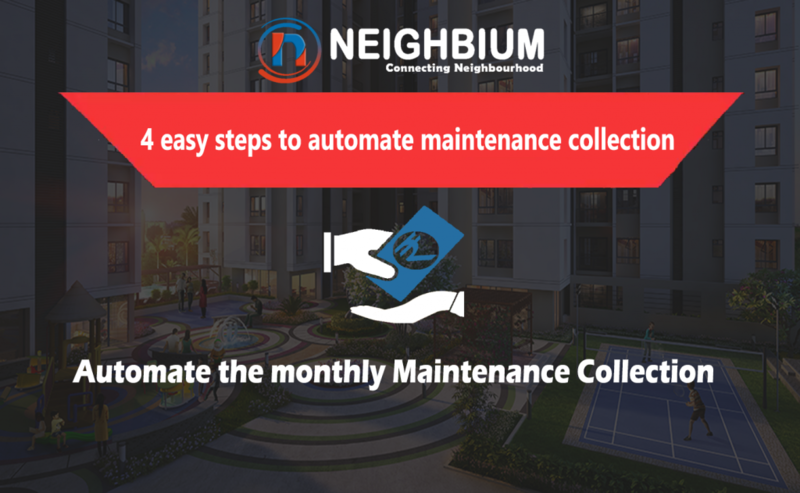 Neighbium makes it even easier to lodge your complaint to the resident welfare association. 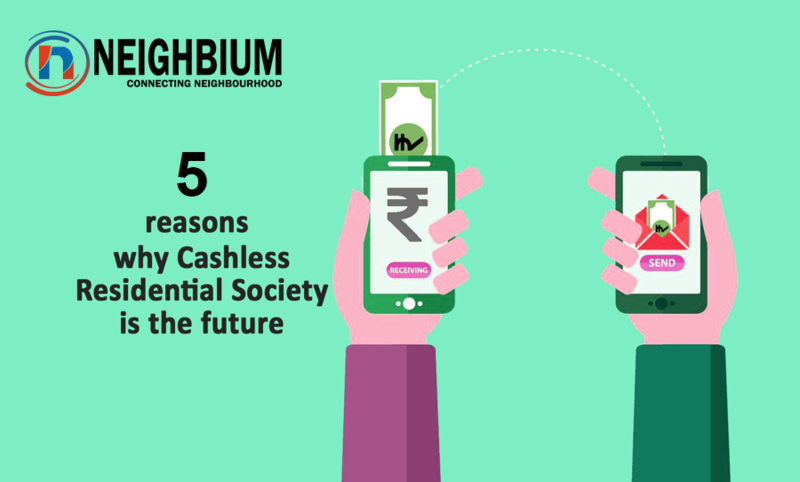 A resident who is a member of the Neighbium app can lodge two types of Tickets – Personal and Community. For personal complaints, residents can raise “Personal Tickets” which can be viewed only by the resident and other members of his or her flat. For common complaints, residents can raise “Community Tickets” which can be viewed by all society residents. HelpDesk updates can be sent through E-mail and SMS to the society members. All these features ensure quick solutions to apartment members. Thus it is good to live in a diverse housing society rather an individual home, due to the safety features found in the community itself and the care each neighbour has for the other when living together.